I love the combination of chocolate and banana! And I love pancakes. However, they are not the most healthy breakfast! 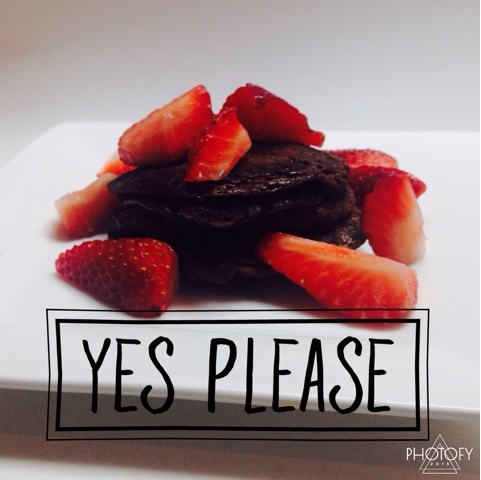 I found this great recipe to make "clean" chocolate banana pancakes! Let me know if you try these out! They are super yummy! • Pour 1/4 c. of your mixture in the pan and heat on each side for about 3 to 4 minutes (don't flip them too soon, or else they will just mush up!) Because of the cocoa powder, they will look very dark but I promise they are not burned! Stack them up and enjoy with your favorite kind of berries!